I worked hand-in-hand with the engineering and production team from step one – A great experience to efficiently prototype and manufacture. My job as a designer was to deliver orthographic Photoshop renderings and 1:1 cardboard models. An efficient process which allowed me to fully focus and find the right proportions and balance between the defining elements of the front face. Besides developing stoves and kitchens, I had the chance to design a range of handles and air-flow controls for the kitchen line-up. 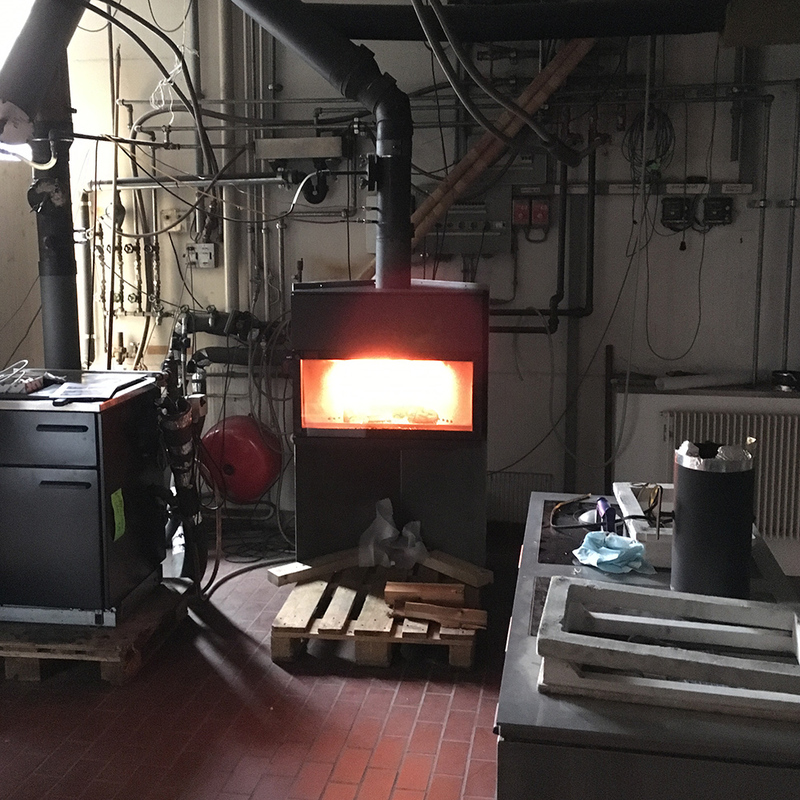 All Tiba-Made stoves and kitchens are produced and assembled in Bubendorf, Switzerland. Each stove goes through a strict quality check. The burning chamber has to resist extreme temperatures, while exterior surfaces should maintain pleasant conditions to the user.